Direct replacement ACCEL Super coils for late model Dodge and Chrysler V6 engines. 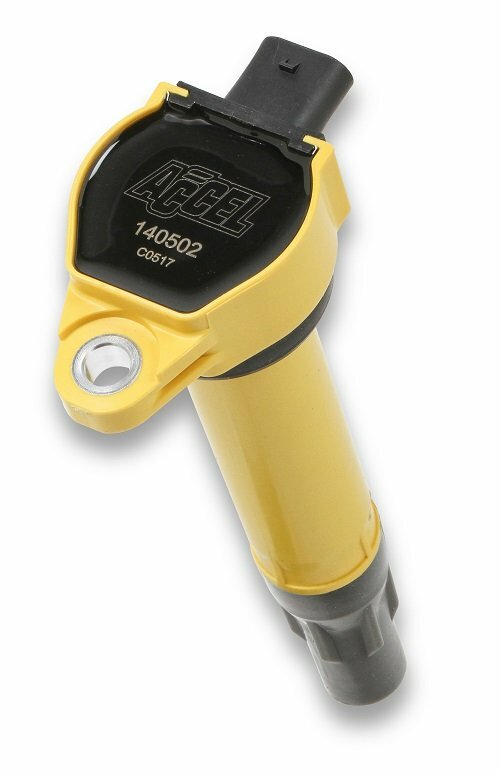 When you are looking to replace that old worn out coil or are modifying the engine, you can turn to ACCEL for your ignition coil needs. ACCEL SuperCoils are the perfect addition to your late model Dodge or Chrysler. Available in the famous ACCEL yellow, ACCEL SuperCoils feature advanced bobbin technology, highly specialized silicone magnetic steel cores, optimized windings, proper resistance and engineered turn ratios that deliver a high performance, quality coil. Specialized high temperature epoxy resists shock and vibration, while increasing thermal conductivity. These are direct high performance replacements for OEM coils that bolt directly into factory locations and plug in to factory wiring for a seamless installation. These are a direct performance bolt on upgrade.